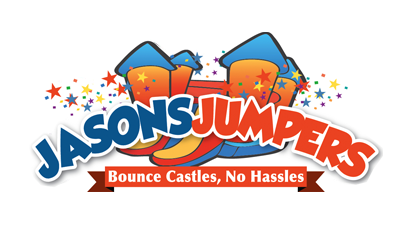 The Loony Toons Combo Unit combines the fun of a standard moon bounce with a slide and a basketball hoop. Licensed and registered in Pennsylvania, the loony toons combination inflatable measures roughly 18ft long by 16ft wide. What a great way to combine fun along with a healthy, aerobic activity. And, all of our inflatables are manufactured with fire-resistant vinyl making them safer and more durable. As pictured this bounce house and slide combo features brilliant colors of blue, white and orange with 360 degrees of mesh windows so you an have a clear view of what is happening no matter where you are standing. Please click here for pricing and availability or to book this unit online. The front of the inflatable features Bugs Bunny, Daffy Duck, Sylvester the Cat, Wile E. Coyote, Tasmanian Devil and sweet little Tweety.